Toulon play host to Racing Metro 92 at Stade Mayol this weekend in the pick of the latest Top 14 action. Both sides emerged from last weekend's opening round unbeaten and will no doubt be determined to back those results up with another strong showing in this eagerly-awaited clash. Toulon recorded a comprehensive 31-19 victory over their Paris-based rivals in their pre-season clash last month but are unlikely to get it all their own way in the heat of a Top 14 battle. Toulon's hard-fought 22-22 draw with Stade Francais in the season-opener drew many plaudits - most notably for fly-half Jonny Wilkinson who celebrated his return to competitive action with a 17-point haul in an assured if not perfect kicking display. The home side failed to dominate an under-strength Stade side and only managed to breach their line once through flanker Thomas Sourice - who misses out this weekend. The reliability of Wilkinson's boot will be treasured by coach Philippe Saint-Andre but the former French international will be keen to see more from his backline. Racing also failed to cut loose in their narrow 19-13 victory at Albi in the battle of the two sides promoted from ProD2. Coach Pierre Berbizier's side were also heavily reliant on the boot of their fly-half - Jonathan Wisniewski. The 24-year-old collected 11 points last weekend and will relish the chance to continue his development against the experienced Wilkinson - an opportunity the former France U21 international has described as "a dream". Toulon welcome back talismanic captain Joe van Niekerk after the South African missed their opening clash while English forwards Kris Chesney and Joe El Abd have also been added to their matchday squad. Australian Matt Henjak is in line to partner Wilkinson at scrum-half with rival Pierre Mignoni out injured while fullback Rory Lamont, winger Tom May and centre Jamie Robinson are all set to retain their places in the starting XV. 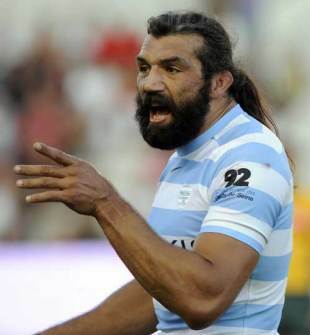 Two of Racing's big name summer signings - Lionel Nallet and Sebastien Chabal - are likely to feature at the heart of their team's efforts with the latter tipped to earn a promotion from the replacements bench. The game has an added dimension with the coaching battle between former international team mates Saint-Andre and Berbizier. The duo who played alongside each other during France's assault on the 1991 Five Nations Championship and Berbizier later went on to coach Les Bleus, making winger Saint-Andre his captain at the 1995 Rugby World Cup. This fixture also represents an interesting match-up between two of the biggest-spending clubs in the world. Toulon president Mourad Boudjellal and his Racing counterpart Jacky Lorenzetti have bankrolled their sides to the tune of millions of euros in the hope of laying the foundations for success. And both will be hoping that their big name signings choose this stage to repay at least some of that investment. Toulon did the double over Racing on their way to the ProD2 title in 2007-08 and their dominance in their pre-season clash suggests that another Stade Mayol full house will go home happy, celebrating their first win of the season. Forwards: Fotunuupule Auelua, Benjamin Basteres, Sébastien Bruno, Kristian Chesney, Jawad Djoud, Joe El Abd, Laurent Emmanuelli, Davit Kubriashvili, Tonga Lea'aetoa, Juan Martin Fernandez Lobbe, Olivier Missoup, Dewald Senekal, Ross Skeate, Jocelino Suta, Joe van Niekerk.